Jessie J. “Cool Jessie” Johnson was born on August 14, 1953 in Cochran, Georgia, son of the late James Johnson and Mary Lee Blackshear Johnson. “Cool Jessie,” as he was affectionately called by his family and friends, attended Abraham Clark High School in Roselle and graduated in 1972. He lived in Elizabeth for the past three years. After graduation, he went to a truck driving school and received his CDL. He had a lifetime career as a Tractor Trailer Driver for various companies. At the time of his passing, he was employed by CBTI Trucking Company in Hillside for 12 years. At an early age, he was baptized at Liberty Baptist Church in Elizabeth, New Jersey under the leadership of Reverend Thomas. Jessie’s passion was music. He played the organ and sang all types of rhythm and blues. He was known for his cool talk and walk, and always had a toothpick in this mouth. On Tuesday, September 11, 2018, Jessie James “Cool Jessie” Johnson passed away at the age of sixty-five. He was predeceased by his mother, Mary Lee Smith on October 17, 2017. 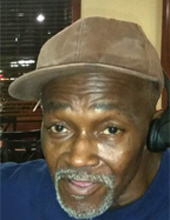 Jessie James Johnson leaves to cherish his memory, his son, Jerrod Lamont Fish, Sr.; three grandchildren: Jerrod Jr., Dwayne and Jocelyn; two great-grandchildren: Zyanna and Damon; godmother, Lee Franklin; and a host of dear relatives and friends. To send flowers or a remembrance gift to the family of Jessie J. "Cool Jessie" Johnson, please visit our Tribute Store. "Email Address" would like to share the life celebration of Jessie J. "Cool Jessie" Johnson. Click on the "link" to go to share a favorite memory or leave a condolence message for the family.